Find the best payroll companies in Chicago with contact information. We also have answers to common questions and additional info for doing payroll locally. Chicago payroll companies offer local small businesses a way to focus on what they do best and let professionals handle payroll. Use our list to find the best payroll services near you. 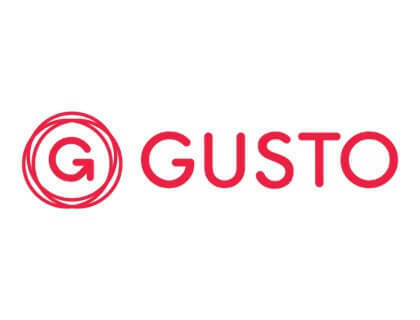 Get 1 month of Gusto payroll FREE! Auto tax filing and digital paystubs. What are the best small business payroll services in Chicago? S & H Income Tax. EZ Tax and Accounting Service. What do payroll processing services in Chicago cost? Between $19.00 and $200.00 per month, depending on taxes, how often you run payroll, number of employees, and other factors. What should I know about doing payroll in Chicago? Chicago does not currently have local tax laws that will complicate doing payroll. However, you will still need to withhold state and federal income tax for those employees. Employers in Chicago are required to withhold paid unemployment insurance. The unemployment insurance rate is determined on an employer by employer basis and ranges from 0.5% to 6.4%. The state of Illinois has reciprocal agreements with Iowa, Kentucky, Michigan and Wisconsin which means that if an employee works and lives in the above-mentioned states, their taxes can be withheld and paid according to the employee’s residency state. Chicago has a local minimum wage of $12.00 while the state of Illinois has a minimum wage of $8.25.